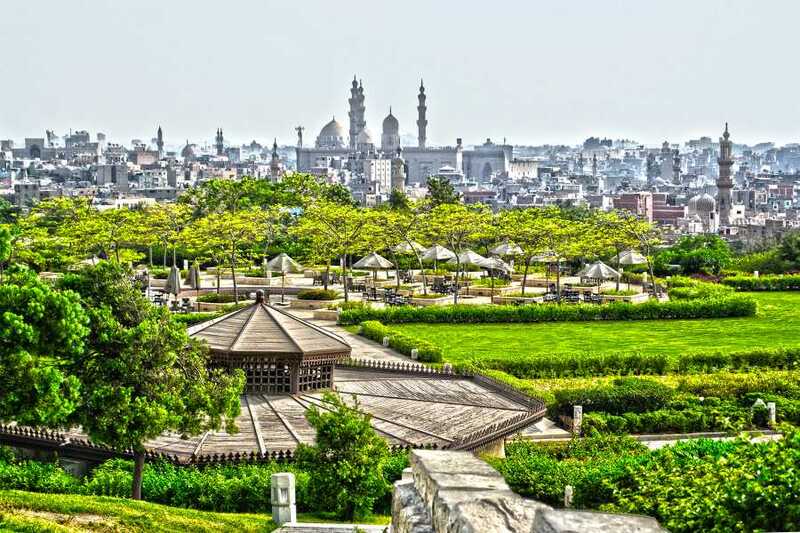 Get beyond the basics and explore the holy sites, atmospheric neighborhoods and historic streets of Islamic Cairo on a full-day, guided tour with an experienced guide. Stroll the cobblestones that line one of the city’s oldest streets, and visit the stunning mosques and religious schools in the historic El Darb El Asfar quarter. Learn about traditional crafts as you walk Al Darb Al Ahmar, take in the breathtaking architecture at Al Moez, then finish your day in the shady palisades of Al Azhar Park at the heart of old Cairo. Unusual Islamic Cairo day tour is a cultural trip where you will see not just mosques but also places, streets and neighborhoods. Your tour will start in one of the oldest streets in Egypt which is El Moez Le Din Allah Street. This street is a witness for historical Cairo with the various monuments spread along both sides of the street, such as Bab El Fetouh and Bab El Nasr. Move towards the northern side of the city, El Darb El Asfar, the most ancient quarter of Islamic Cairo monuments where you visit Barqouq mosque and school in Nahassen, El Aqmar Mosque ,the Mosque of El Saleh Talae, the Blue Mosque, the Dome, Hospital and School of Qalawoon. Also you will be able to visit Bayt El Sehaymi and go for a walk on Al Darb Al Ahmar Street. The Darb al-Ahmar area hosts several other interesting trades and crafts. Facing Bab Zuweila and going further up north in Suq al-Silah Street one will come across the saddle makers Market called Suq al-Surugiyyiah which produces all kinds of leather ware. From here we will be in Al Moez Street, the most beautiful Islamic street in Cairo. End your tour with a visit to Al Azhar park which is located in the heart of old historic Cairo and enjoy the stunning panoramic view of Cairo. There will be lunch at a local restaurant in between visits, and the tour finishes with a hotel drop-off around 4pm.